Hello ... Don't know if it is the right place to ask my question..anyway..
Hello ... Don't know if it is the right place to ask my question..anyway .. Lost my gmail and fb acciunt bind to game and left only with vk and support refuse to help me unbind gmail and fb .. So what to do? Do awaken skills buff other heroes? If so how can I get it to work? Random question... Do awaken skills buff heroes of that type even if t..
How can I verify my account in Mr? 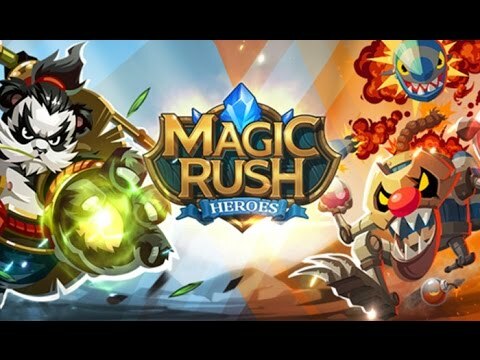 I am planning to become VIP and I try it I buy pile of diamond but the..
No discussions open for Magic Rush: Heroes at the moment. Do awaken skills buff other heroes? If so how can I g..
How can I verify my account in Mr? I am planning to ..
To get free token How to get free token for power up ..
Do awaken skills buff other heroes? ..
Hello ... Don't know if it is the ri..